BOCA RATON, FL — In an effort to continue its strong ties with local organizations, Boca Raton Football Club is a sponsor of the 12th Annual Boca Raton Toy Drive that will take place at Sugar Sand Park on December 2, from 10 am until 4 pm. 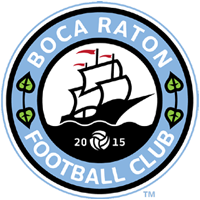 As part of the partnership, Boca Raton FC will donate new, unwrapped toys to the Boca Raton Toy Drive as well as have coaches and players appear at the event to sign autographs, interact with fans, and volunteer during the event. As an annual family event, the Toy Drive never fails to bring the community together for a common good. Families come out to enjoy free carousel rides, food, and Santa; all while bringing toys and donations for this Rotary Event. All six Rotary Clubs have partnered together over the years to host a successful Toy Drive. There are multiple drop-off locations throughout Boca Raton, where you can drop off new, unwrapped toys leading up to the event on December 2, if you prefer, you can also just bring the toys to the day of the event.